Access the business elite with our custom microsite on the WallStreetJournal.com. 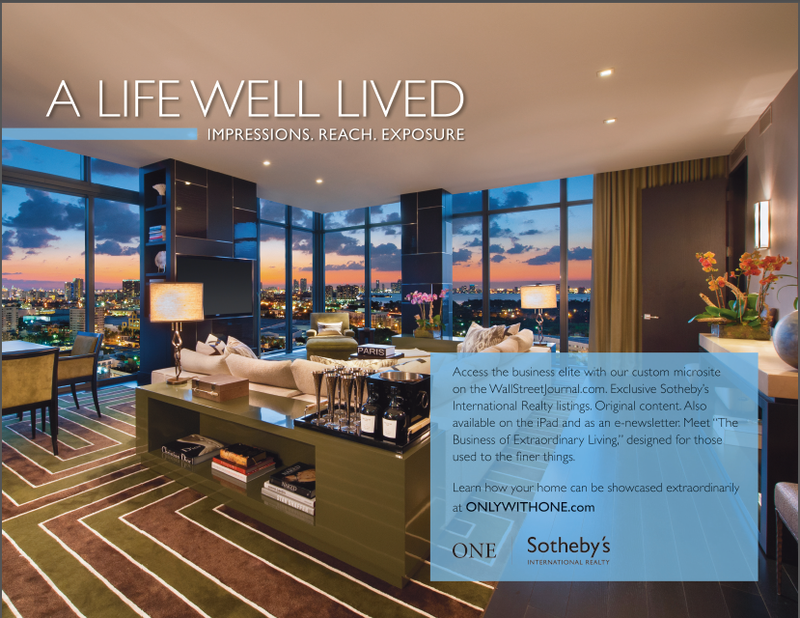 Exclusive Sotheby’s International Realty listings. Original content. Also available on the iPad and as an e-newsletter. Meet “The Business of Extraordinary Living,” designed for those used to the finer things.